Take your annual take-home pay and subtract $2,600 from it — that’s how much you’re really making, after you factor in how much it costs you to get to and from your job all year. 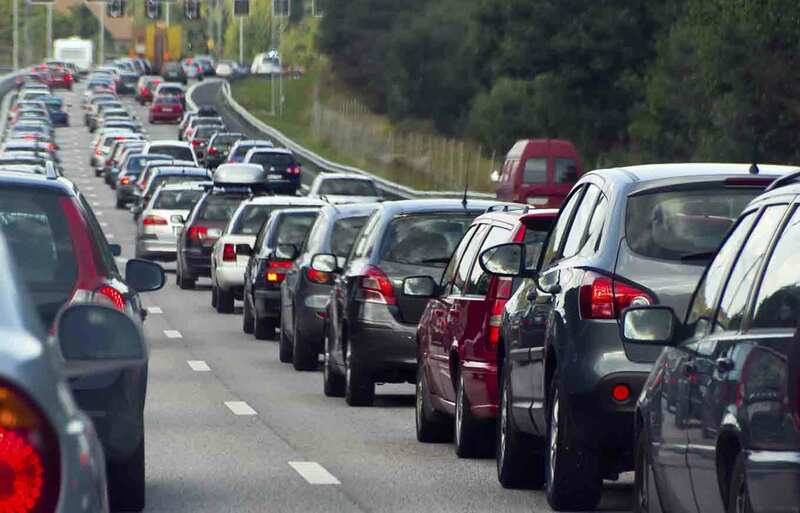 The average American travels 45 minutes commuting to and from work and spends about $10 to do so every day, according to the Citi ThankYou Premier Commuter Index. The index is based on data collected by Wakefield Research from a nationally representative sample of 3,500 consumers between the ages of 35 to 54 with a margin of error of plus or minus 3.1 percentage points, plus 500 respondents from New York, Los Angeles, San Francisco, Chicago and Miami, with a margin of error of plus or minus 4.4 percentage points. The survey asked Americans, not all of whom are full-time employees, about their commutes, which the survey defined as “your trip from work, school or daily activities.” The survey took place online from May 5 through May 12. Most people drive to work (77%), so fuel is unsurprisingly the most common commuter cost — 79% of people who incur out-of-pocket expenses for their commute said most of their commuting budget goes toward buying gas, while 14% said they spend the most on public transportation, 3% spent the most on tolls and 2% spent the most on taxis or car services. As far as commutes in big cities go (at least, the ones included in this survey), L.A. commuters spend the most per day ($16 on average), which makes sense, because it’s a car-dominated city, and fuel is a top cost-driver. New Yorkers spend the most time commuting, with an average round-trip commute taking an hour and 13 minutes — 44% of respondents said their daily commute takes longer than an hour. Miami workers have the shortest commute time of the cities (49 minutes) and Chicago and San Francisco were cheapest ($11 a day). That just includes the people who pay anything to commute — nationwide, 17% of people don’t have daily commute expenses, though it’s unclear how that breaks down among people who work from home, walk, bike or have some form of free transportation. The responses from the five major cities came from commuters within designated market areas (as The Nielsen Co. outlines media markets), which may include suburbs of those areas. The logistics involved in earning a paycheck are costly — you can do a lot with an extra $2,600 a year — and if you’re putting those expenses on a credit card without paying your statement balances in full, you’re spending even more on travel, not to mention the damage you could be doing to your credit. Carrying high credit card balances is one of the worst things you can do to your credit score, so it’s important to keep track of your accounts, check your credit scores (you can get two for free on Credit.com) and make adjustments to your habits as you see fit. There are plenty of ways to save money on a commute, too. If taking public transportation is an option and would help you save money, consider doing so. Many public transit systems have options like a weekly or monthly pass that will allow regular commuters to spend less than if they regularly bought single-trip fare, and if public transportation isn’t an option, you could consider carpooling. Additionally, many large cities have adopted bike-share programs with annual passes that cost less than a typical monthly commuting budget, or you could try riding to work on your own bicycle. Every option has its pros and cons, but it may be worth the time and money to determine your most budget-friendly option. Is the $2600.00 annual figure before or after taxes. Excellent question. That wasn’t specifically addressed in the survey. Respondents were simply asked to share how much they spend on their daily commute, so it’s likely a mix.